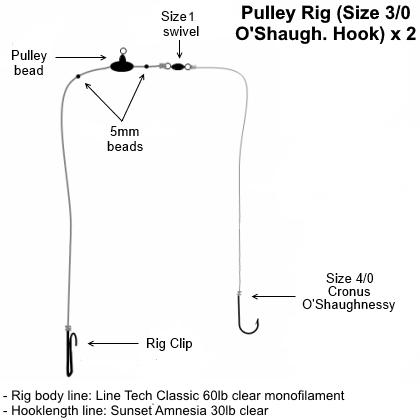 Pulley rigs are popular with anglers fishing snaggy and mixed ground as the design of the rig lifts weight up and away from the seabed while reeling a fish in, reducing the chances of getting snagged. 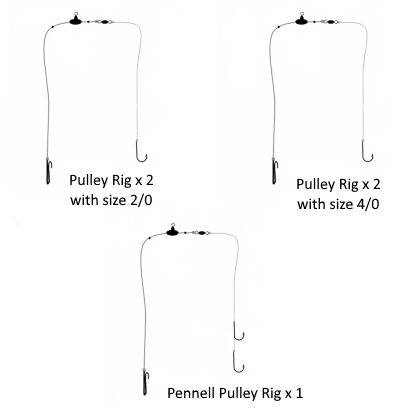 This Pulley Rig Selection offers anglers a selection of five pulley rigs with a range of different sized hooks, allowing anglers to target different species of fish. 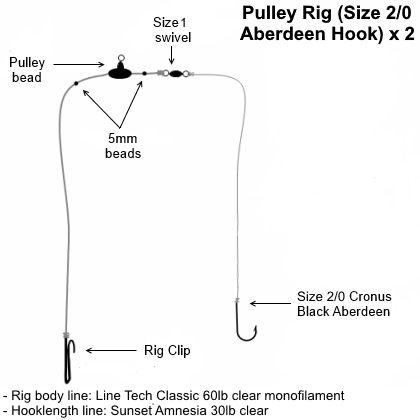 Two pulley rigs are fitted with size 2/0 Cronus Black Aberdeen hooks for general fishing. Two have Size 4/0 Cronus O’Shaughnessy hooks for anglers targeting larger species such as cod, large bass and rays. 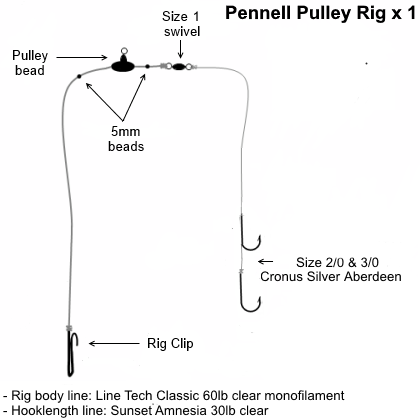 The final pulley rig is a single pulley pennell rig with Size 2/0 and 3/0 Cronus Silver Aberdeen hooks which allows anglers the best chance of hooking any fish which take the bait.